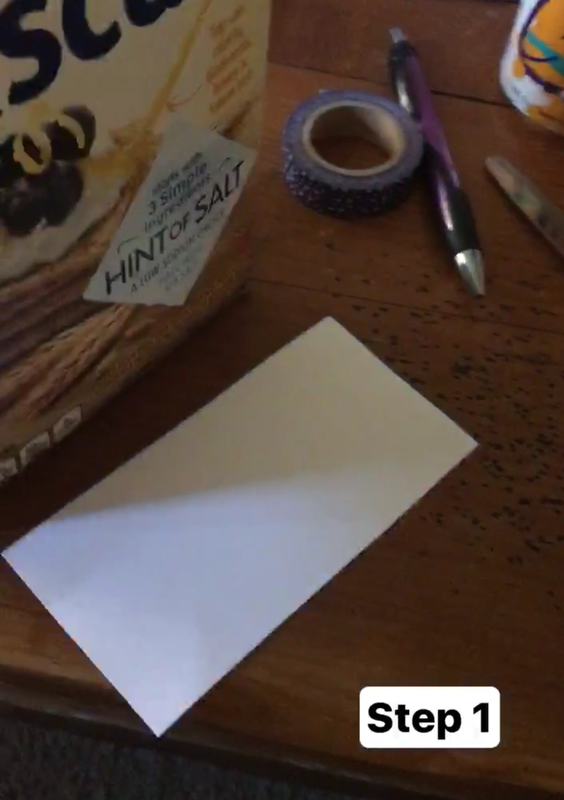 ​Step 2: Tape or glue the white paper to the inside bottom of the box. 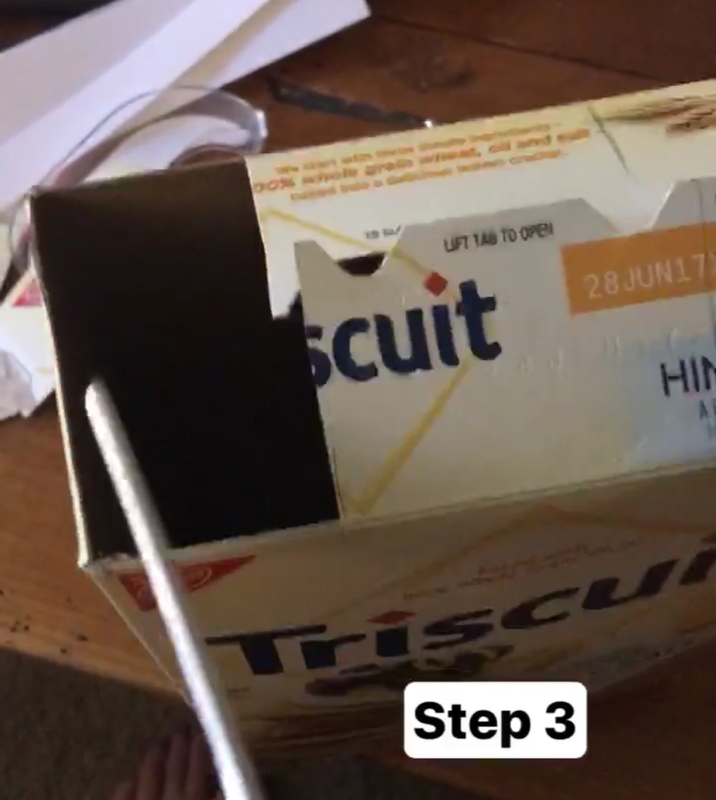 ​Step 3: Cut two holes on opposite sides of the top of the box. 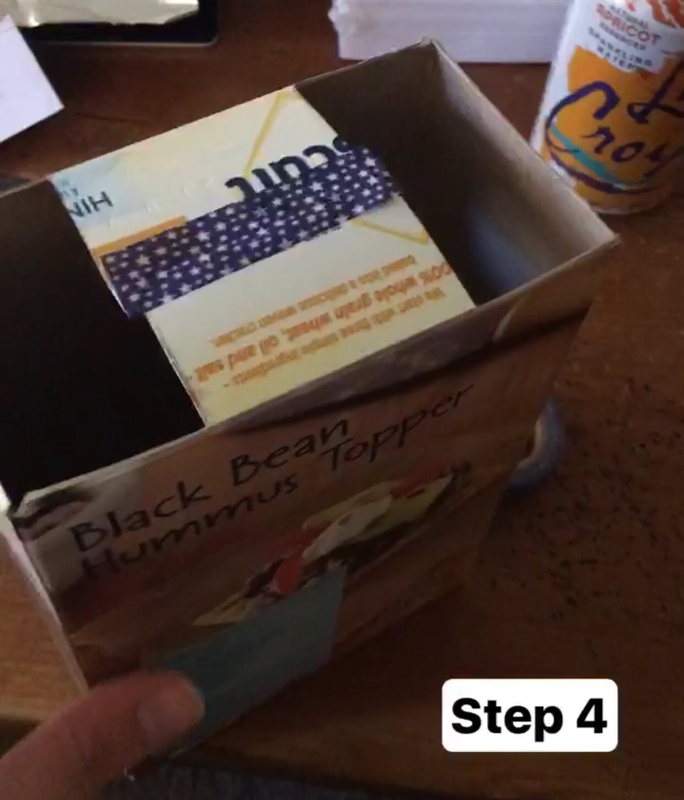 ​Step 4: Tape the top of the box closed. 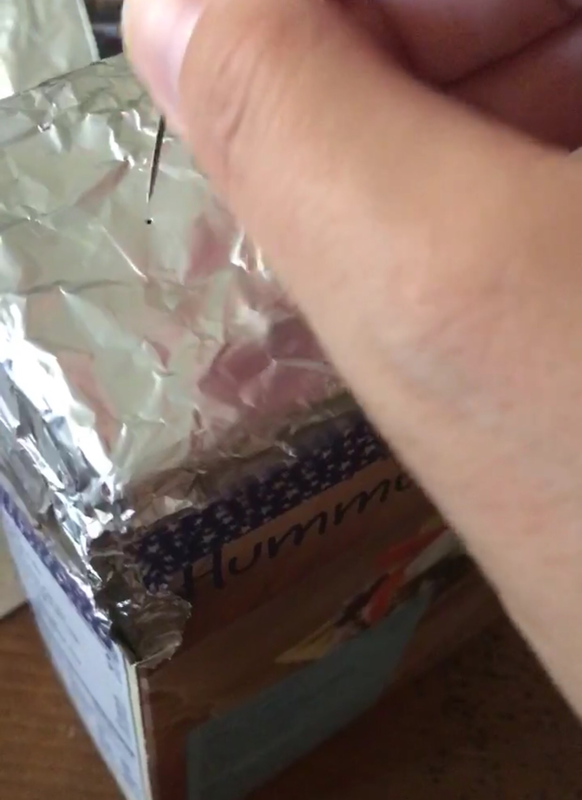 Step 5: Cover one of the holes with some foil and tape down. 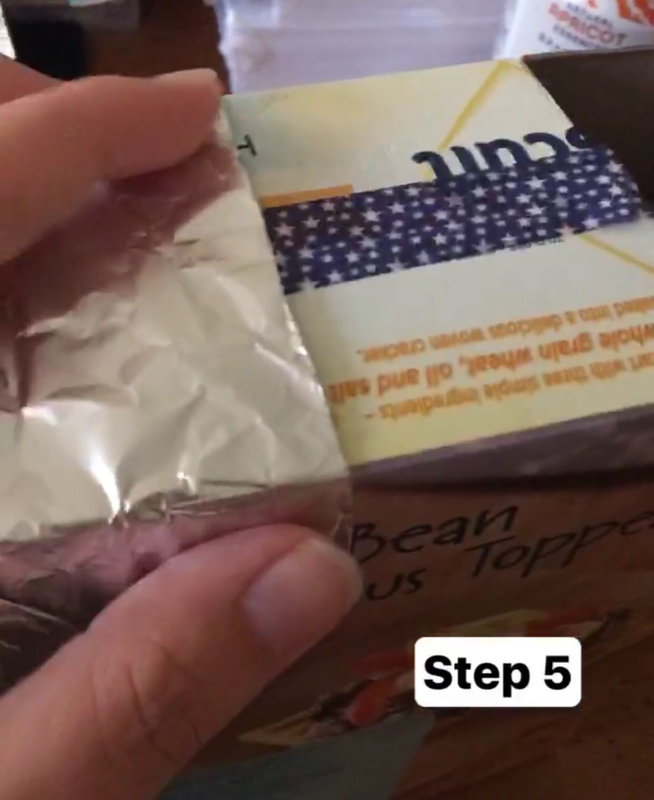 ​Step 6: Put a pinhole in the foil. 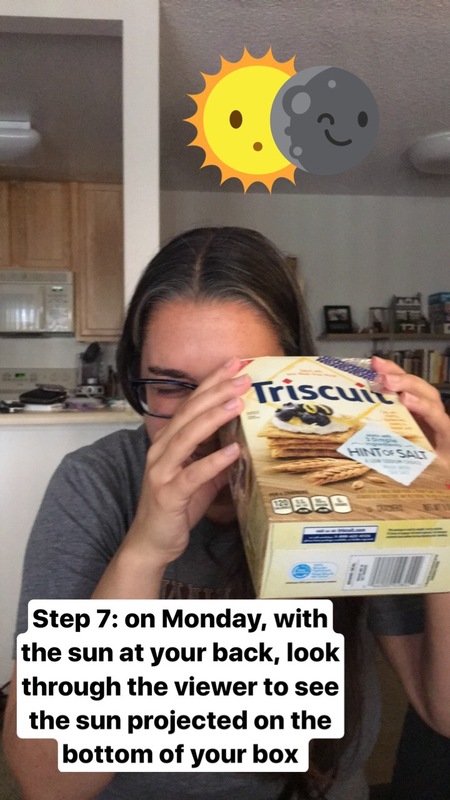 ​Step 7: Use the projector with the sun behind your back, looking through the non-foil-covered hole. The sun should be projected onto the white paper in your box. You might need to move it around a bit to get the sun lined up right. And that’s it! It’s very simple to make. Let me know if you have any questions. Hope you safely enjoy the eclipse!